I'm all about supporting companies that in turn support others, especially when kids are involved. One that I learned about during back to school season is Yoobi. Yoobi is based on a bright yet simple idea: for every Yoobi item purchased, a Yoobi school supply item will be donated to a classroom in need, right here in the U.S. To me that says something pretty big about their company. As a parent I know that not every child out there has the same at home life or level of income and it can sometimes be hard for a family to provide their kids with the school supplies they need. Yoobi believes that students all across the country should have access to the necessary tools to learn and be successful. 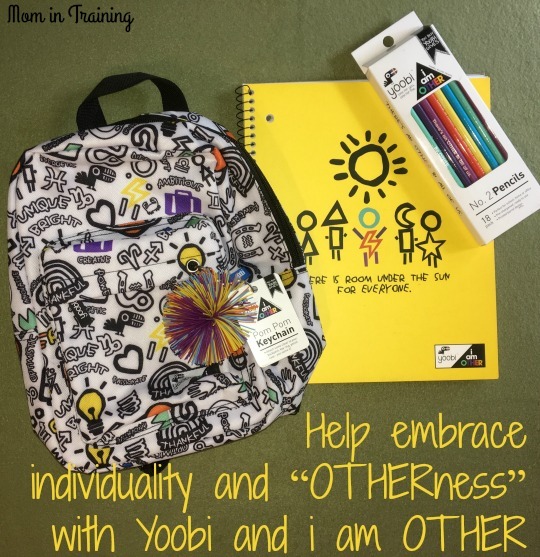 With this year’s back-to-school partnership, Yoobi and i am OTHER hope to continue to reach students with the materials they need to succeed, while inspiring kids to embrace what makes them unique and different. Since their launch in 2014, Yoobi has impacted over 1.5 million kids across the U.S. and it doesn’t stop there!